Dolch Word Site - Multi links to Dolch word lists and activities. Look, Cover and Spell - This spelling site has 30 pre-built lists of words, but you can create your own list. Double-click any word on the list and type a word appropriate for your grade level. Your student gets to see the word, then it is covered and they must type the correct spelling. Spelling - Click on the misspelled word and then correct it. 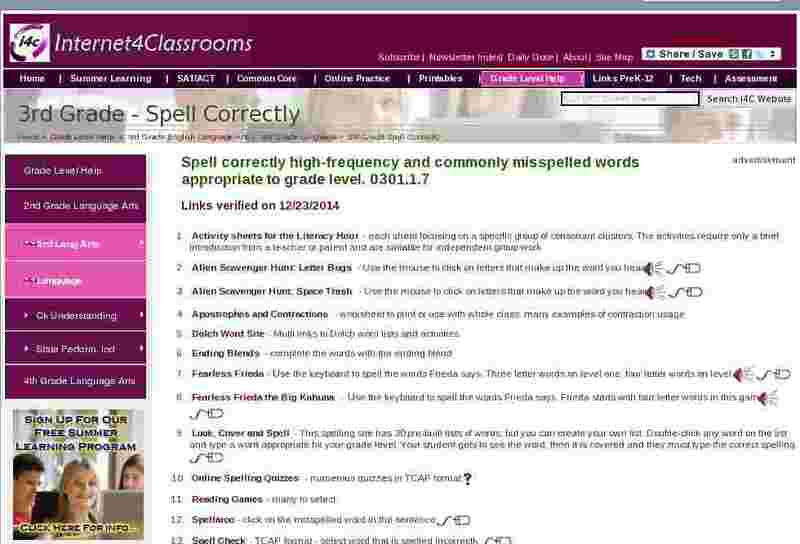 Spelling Wizard - Use this scholastic site to enter a list of words and then make a spelling scramble or a word search.